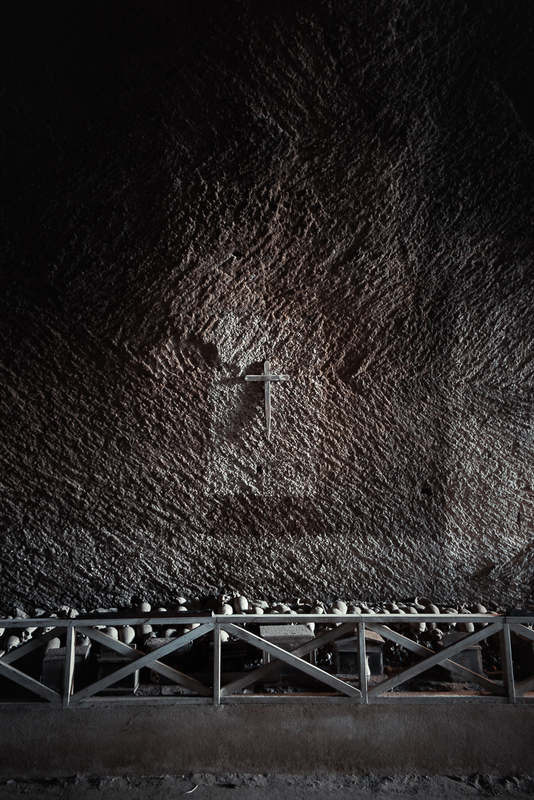 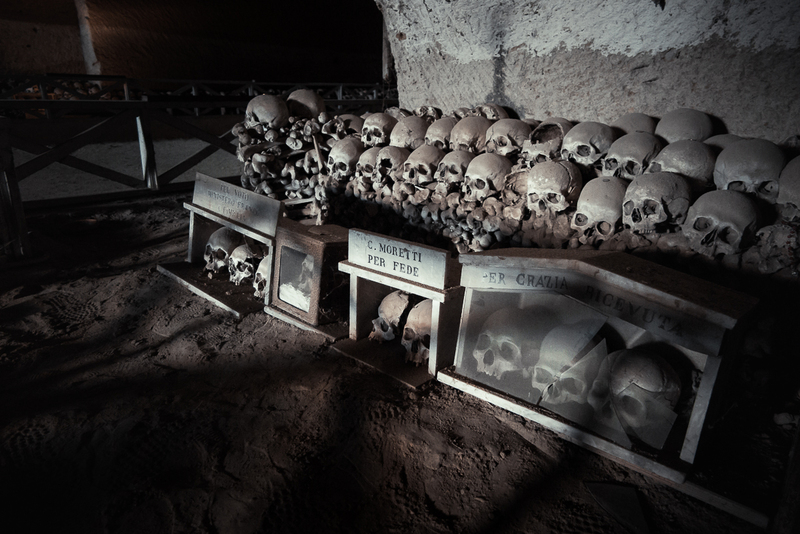 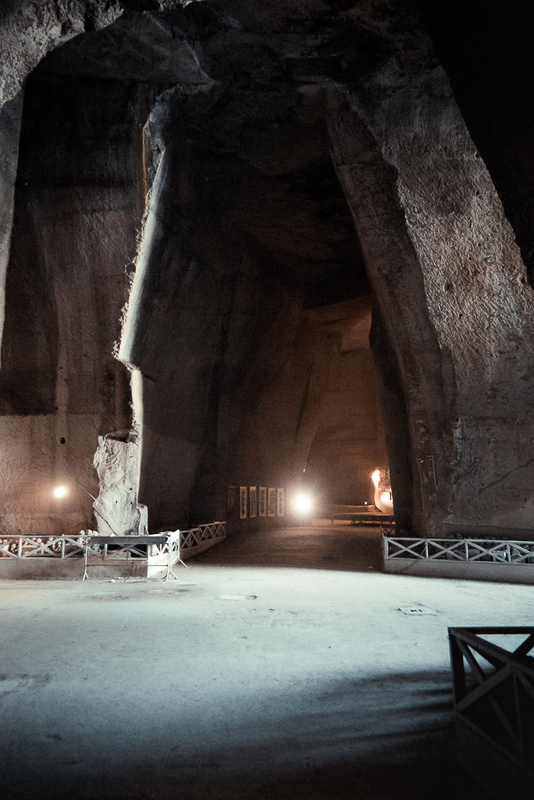 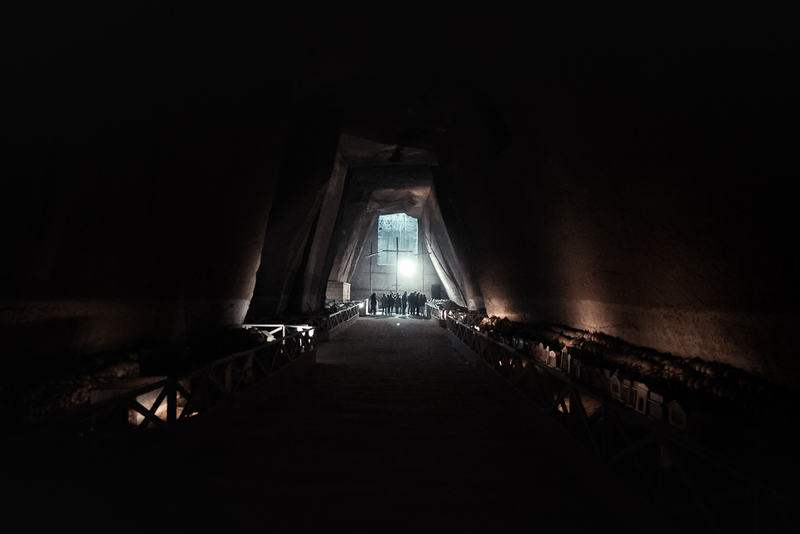 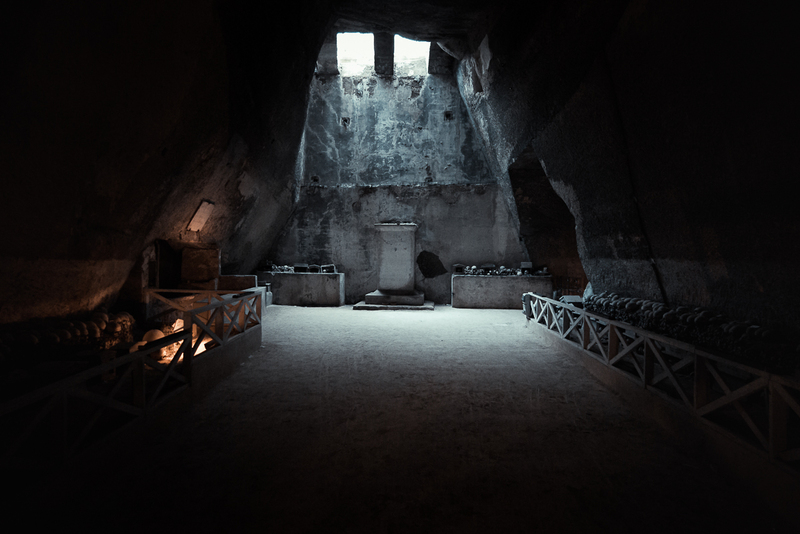 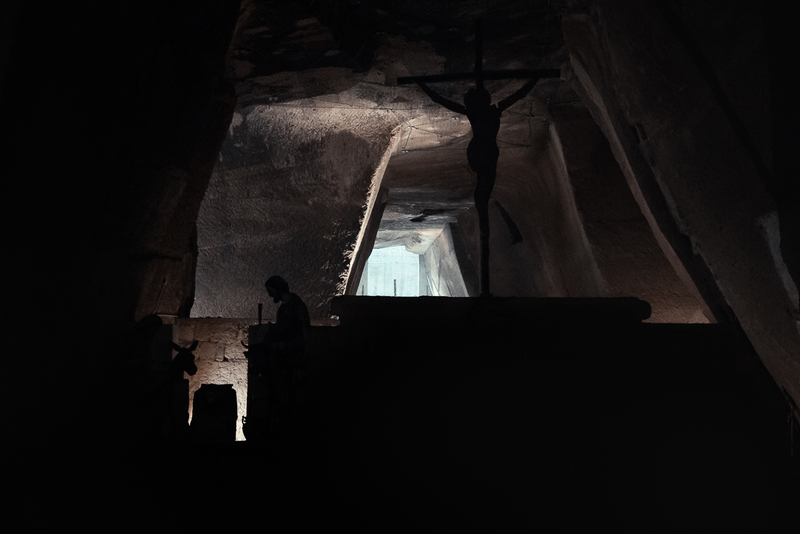 It is estimated that more than 40000 bodies were crammed into the quarries. 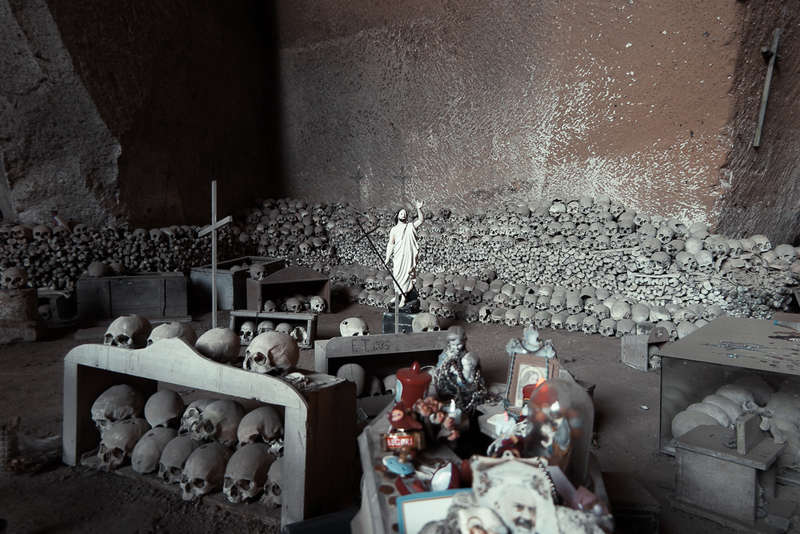 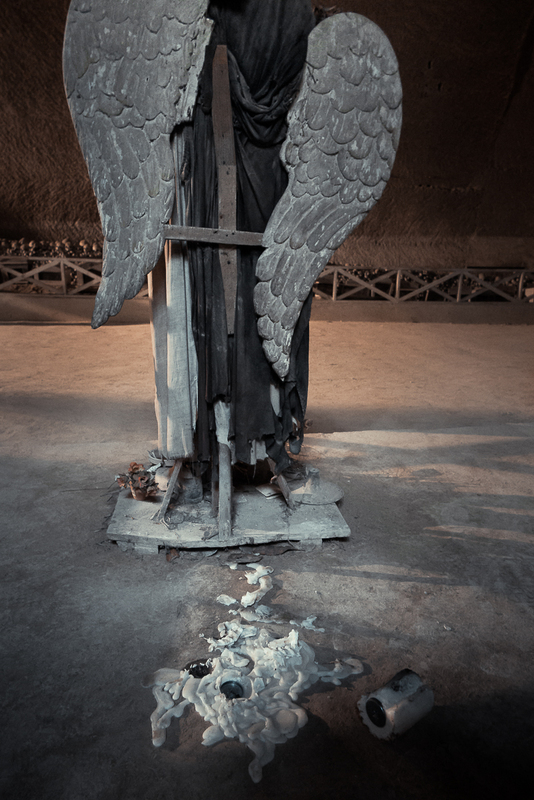 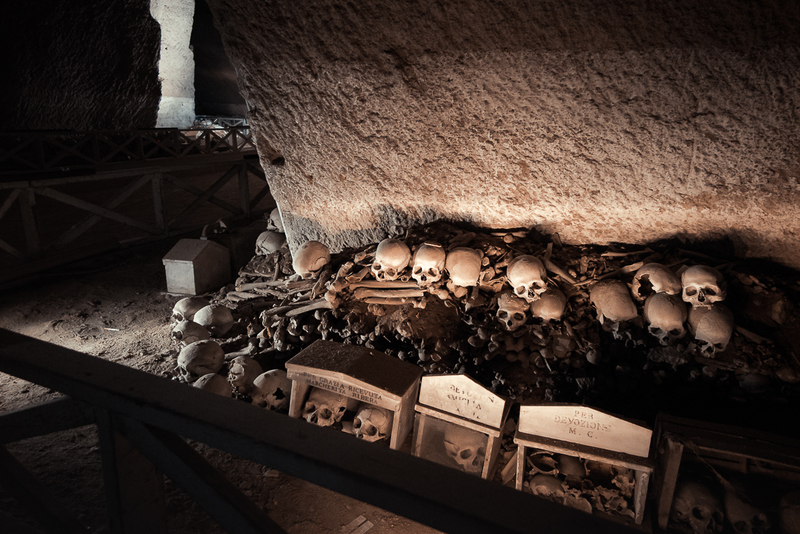 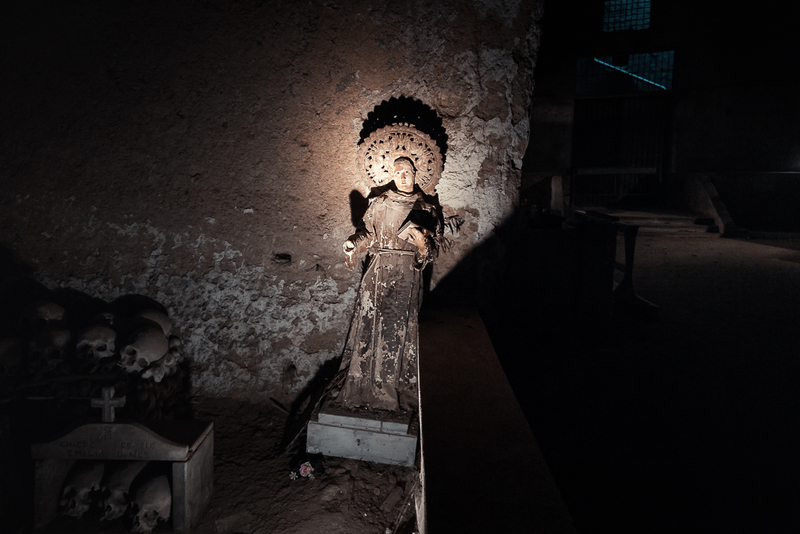 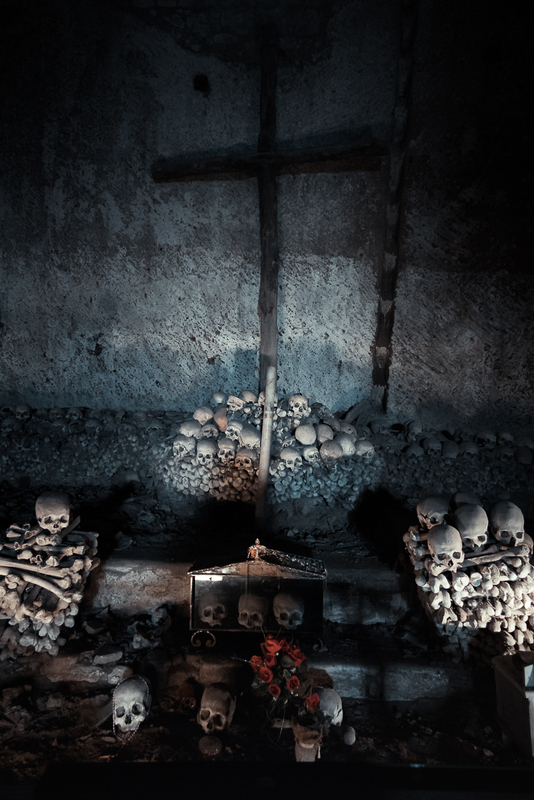 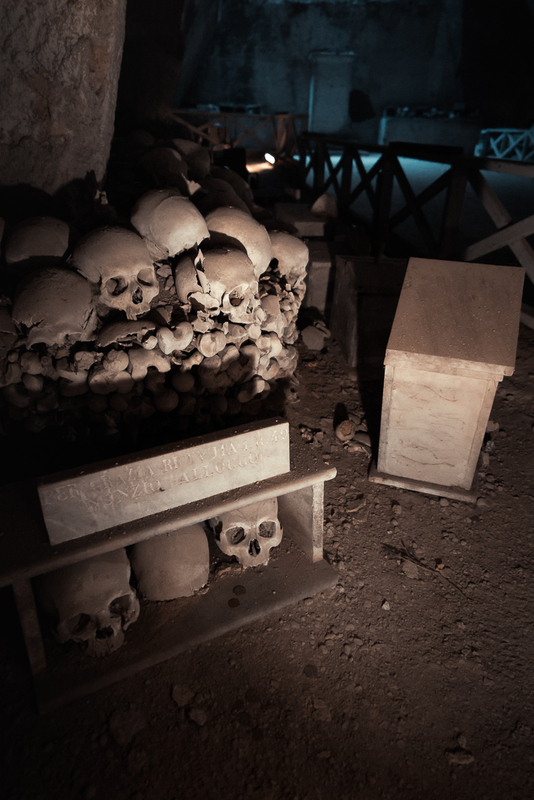 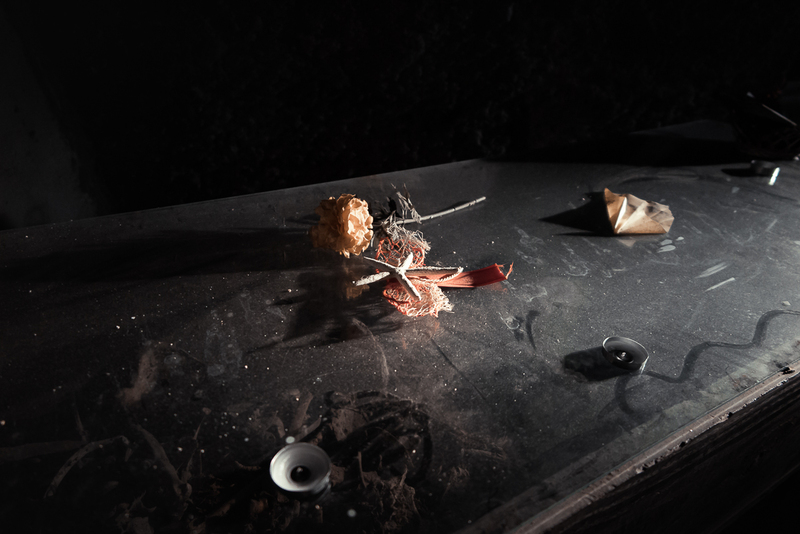 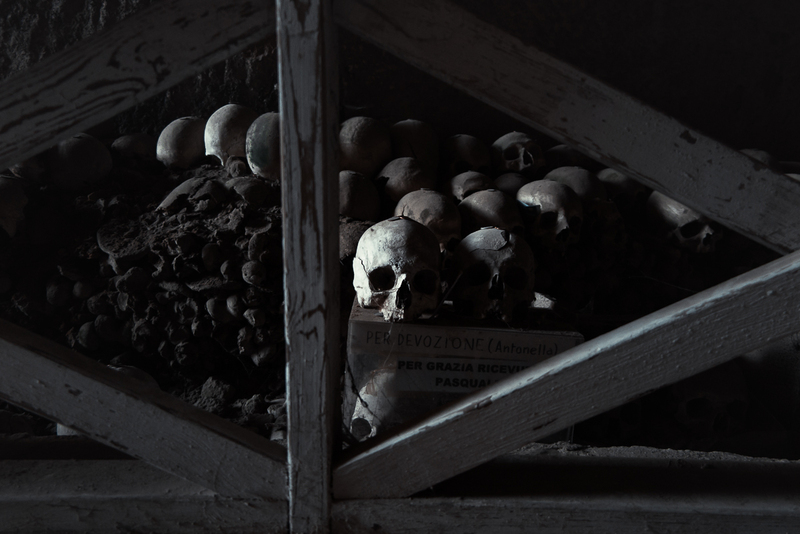 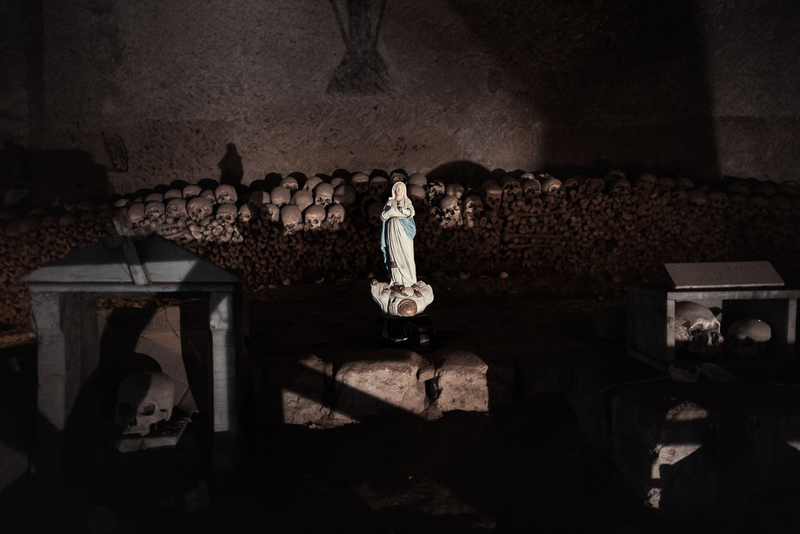 Bones are almost anonymous and, far from the consecrated ground, represented the abandoned souls ("pezzentelle") and the medium with the beyond. 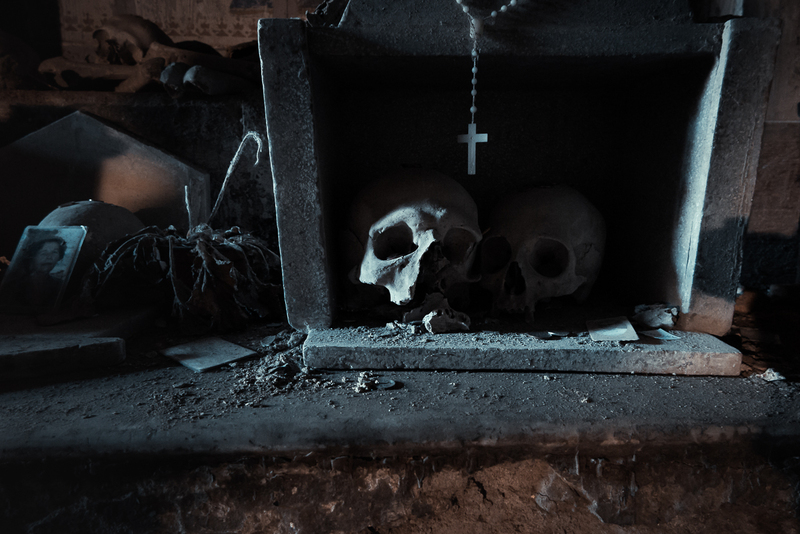 Hence a particular ritual devoted to the adoption of a skull ("capuzella") that was chosen through a whole series of "signals" to the devotee and whose family would later become part. 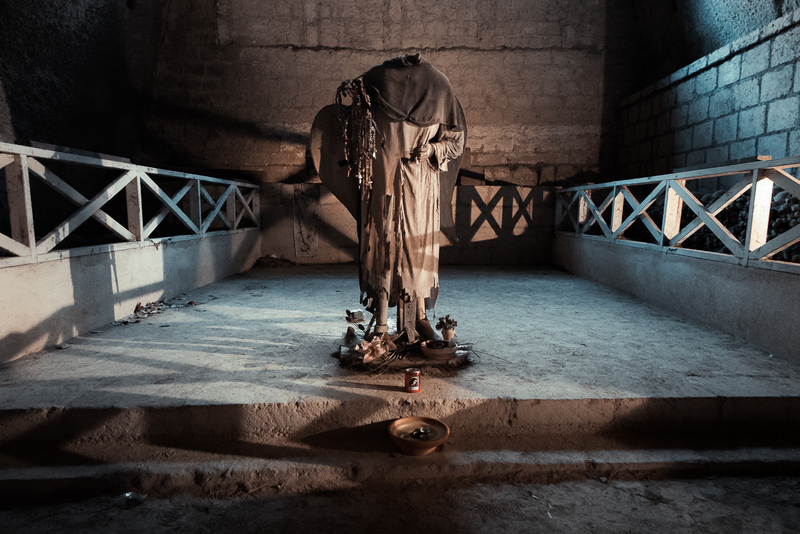 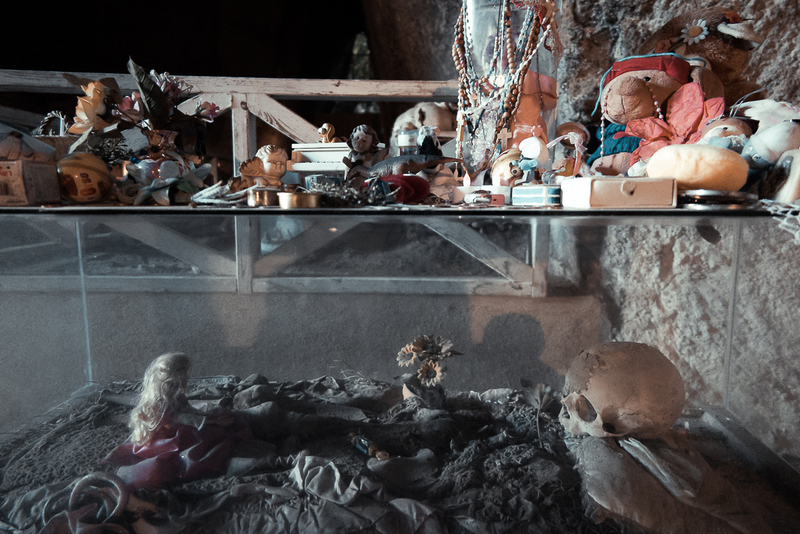 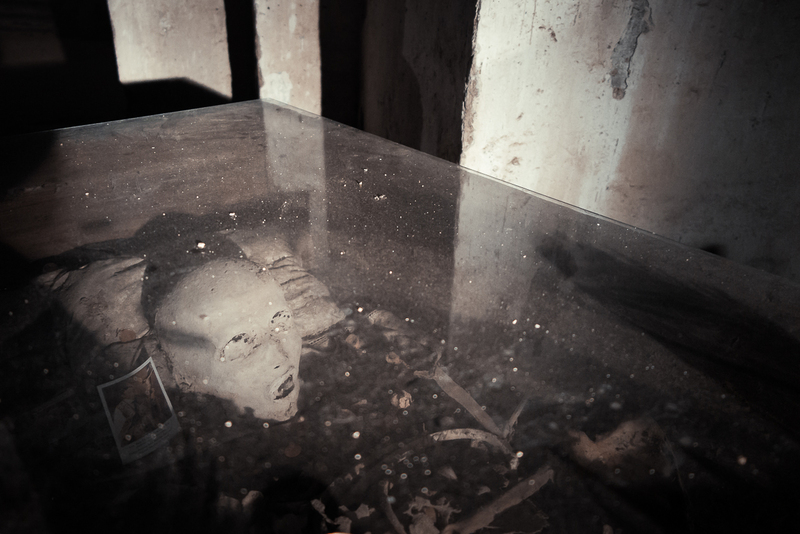 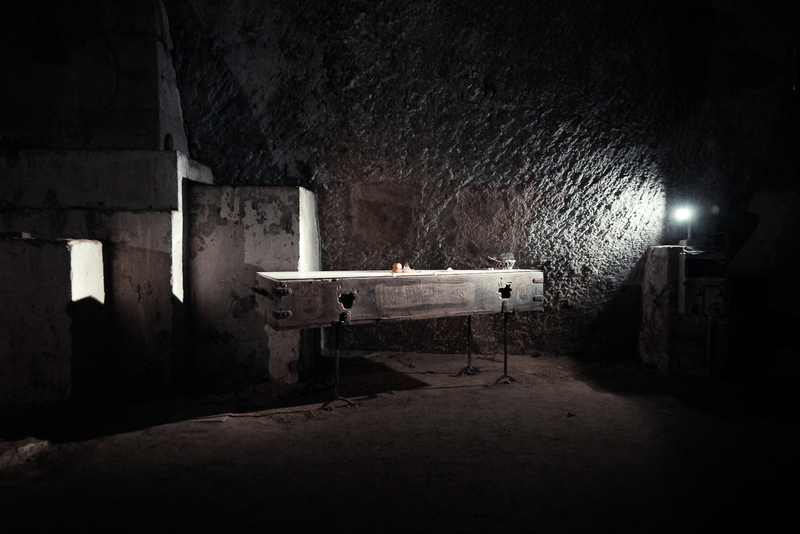 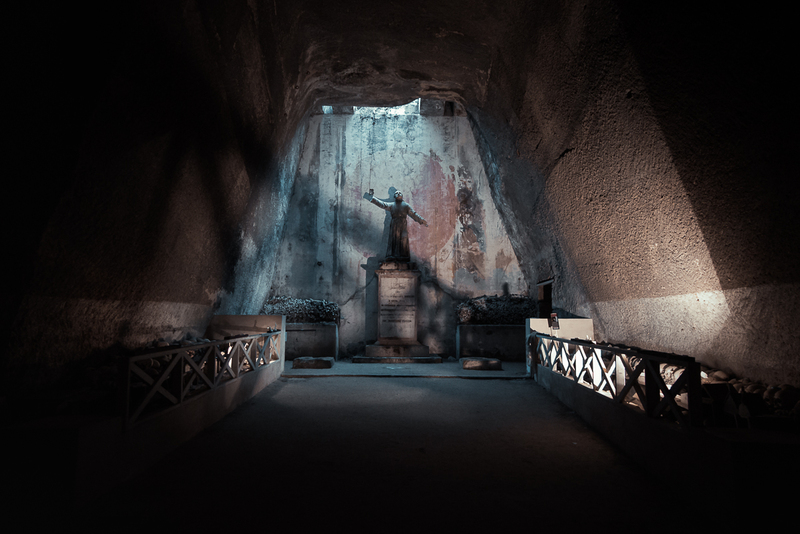 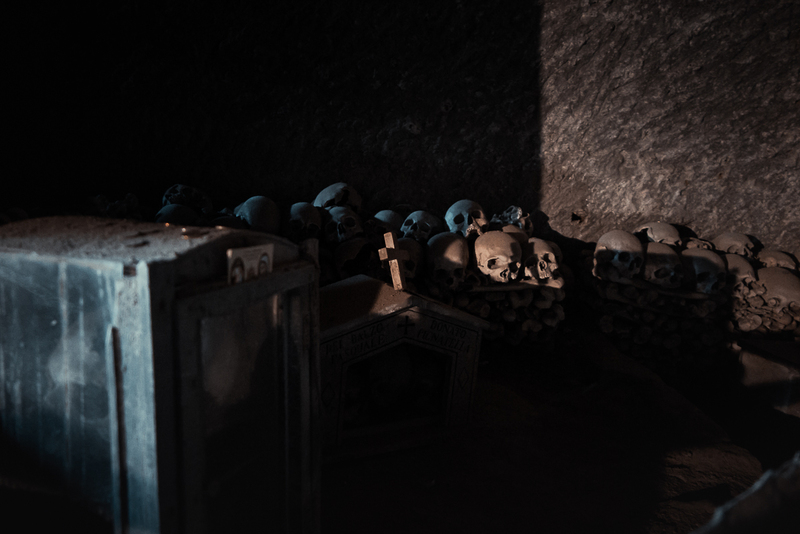 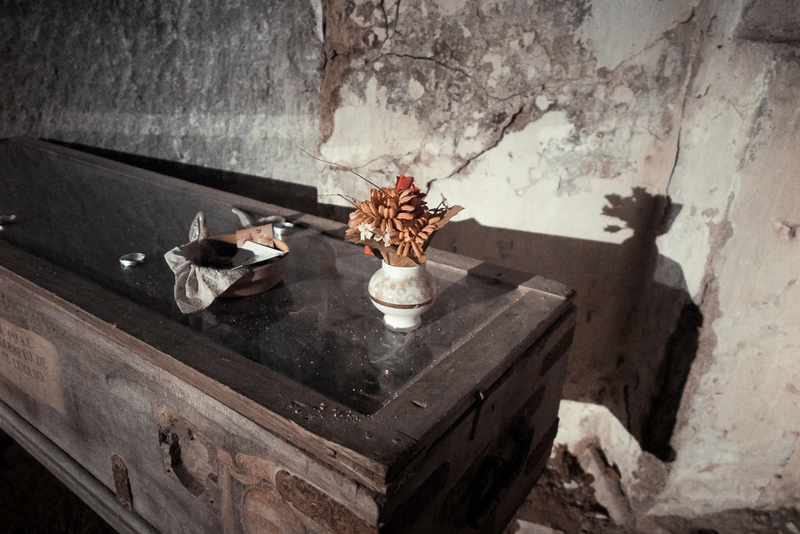 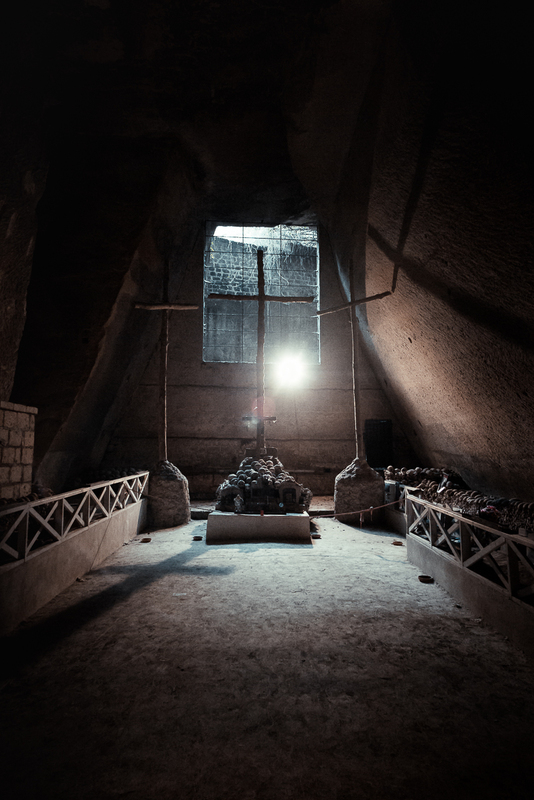 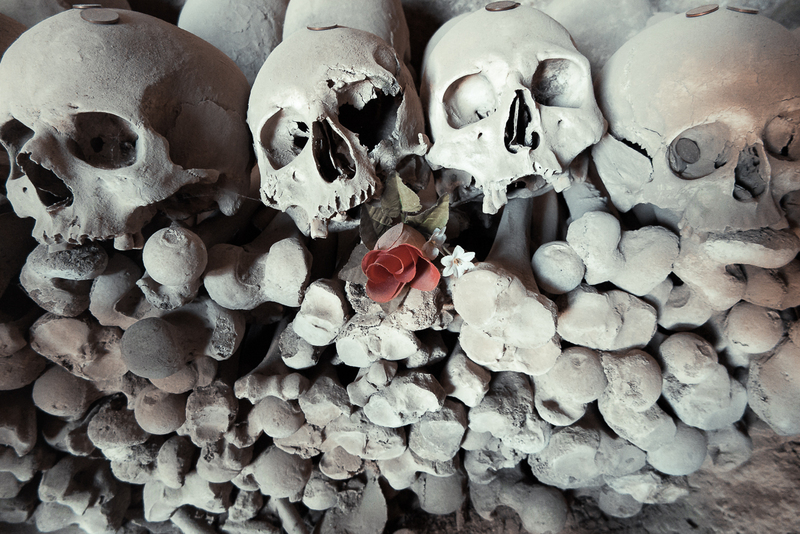 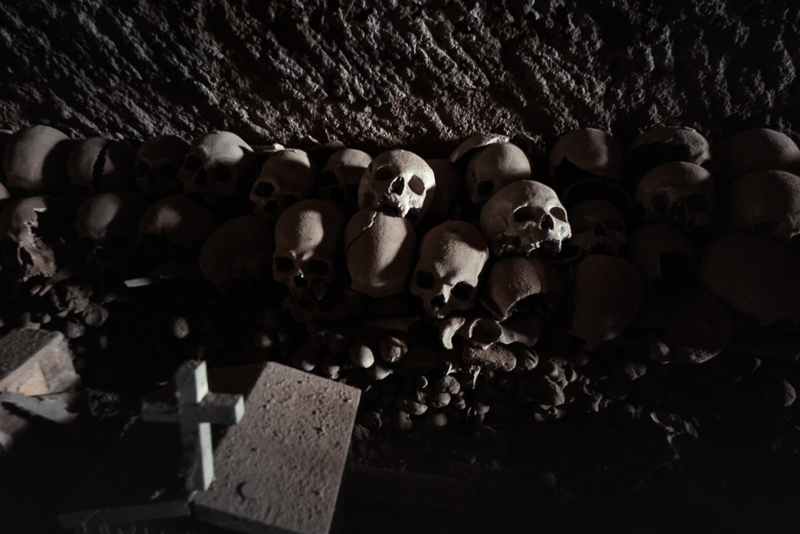 The Fontanelle Cemetery, wrapped by a good dose of mystery and superstition, is worth visiting.